This saltwater adventure begins as a sea turtle hatchling makes a ninety-second mad dash from the nest to the water’s edge. At times suspenseful and always entertaining, this twenty-five-year journey follows the hatchling as she grows into a three-hundred-pound swimming machine. Illustrations dripping in a cool pallet of ocean blues and greens plunge you deep into the abyss as the turtle migrates from her Florida home to the Mediterranean Sea and mysteriously back to Florida, where she builds a nest for her own hatchlings. Determination and cleverness help the turtle mature from a playful adolescent to a wise adult. 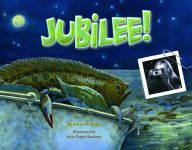 Janeen Mason introduces young readers to the endangered loggerhead turtle and offers a glossary, enforcing new vocabulary relevant to the aquatic environment. A “factoid” section printed on the end pages provides interesting and enlightening turtle information readers of all ages will find fascinating. 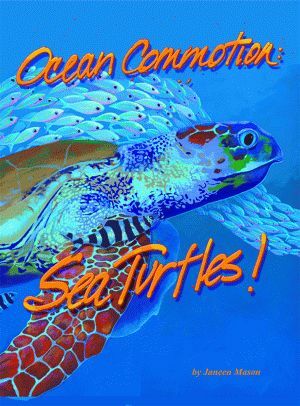 Janeen Mason has created a niche for her brilliantly colored marine life artwork that includes worldwide distribution. Her work is printed on puzzles, clay tiles, notecards, and fine-art prints, and she exhibits in galleries and art exhibits nationwide. A popular speaker at schools, libraries, and conferences, Mason is an active member of the Society of Children’s Book Writers and Illustrators. 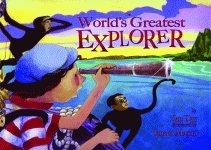 She has illustrated three other Pelican books, Kissimmee Pete, Cracker Cow Hunter, The Pirate, Pink, and Pirate Pink and Treasures of the Reef. In her spare time, she works on a potter’s wheel in the courtyard behind her studio in historic downtown Port Salerno, Florida.